State Representative Steve Reick (R-Woodstock) is asking McHenry County residents to join him in requesting a gubernatorial veto of legislation that would substantially increase the powers granted to the McHenry County Board Chairman. 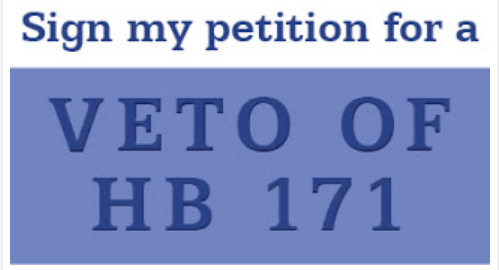 Reick is hosting an online petition drive to gather signatures in opposition to HB 171. The petition specifically asks Governor Rauner to veto the legislation, which was approved earlier this month and now sits on his desk. “A few years ago the voters of McHenry County voted down by a 2:1 margin an effort to increase the powers of the leader of the McHenry County Board,” said Reick. According to Reick, in a subsequent election, voters approved a measure to allow for a popularly-elected County Board Chairman with limited authority and power. “When voters weigh in on an important measure at the ballot box, that should mean something,” Reick said. “The signing of HB 171 would directly circumvent the expressed will of the people who resoundingly said ‘no’ to a board leader with a great deal of individual power. Will he actually lift a finger to start the petition? I hope everyone in the blog signs. And a Merry Christmas to Matt Lauer – LOL ! Just another time wasting, energy sapping move, by a goofy Democrat not in the least interested in anything, but his own ego. In order to secure signatures for our representative’s petition my campaign has emailed 5800 people today in the 6th District urging them to help his effort on behalf of the repeal of this onerous bill. All of us need to play a part and do our job to protect the Integrity of McHenry County against usurpers of power. Such comments are anti-Semitic according to Dear Leader Jack!!! You may wind up in his new Herbie Franks Re-Education Center under construction near MCC. I’ve got a good attorney ….. and he’s Jewish ! It’s interesting that both “Pacco” and “Fair Play”, resort immediately to legal threats, a favorite tactic a certain other person. I thought it was illegal for attorneys to intimidate.